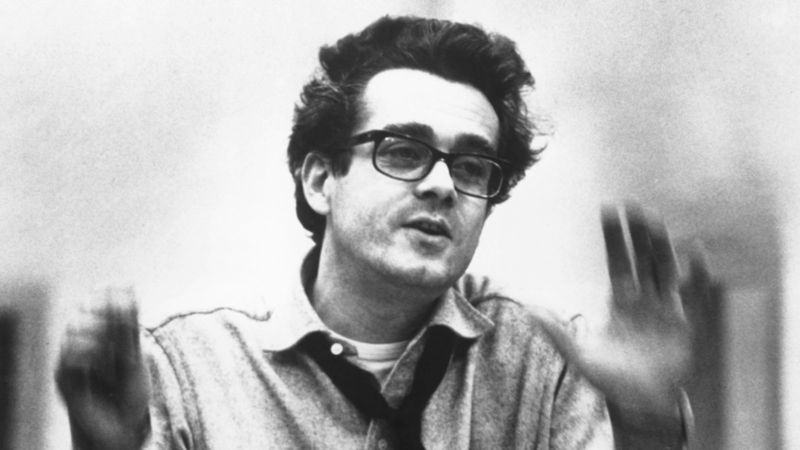 Just last December, Michel Legrand, the composer, songwriter, conductor, and pianist who’d worked with Jacques Demy and Agnès Varda, with Miles Davis and Barbra Streisand, performed a selection from one of his most recent scores at the Philharmonie de Paris. The piece was from The Other Side of the Wind, the film Orson Welles shot over a period of several years in the 1970s, and when it came time to reconstruct and restore one of Welles’s final major projects, producer Frank Marshall reached out to Legrand. “After working with Michel on F for Fake and wanting a jazz-based score, Orson always spoke about him doing the music for Wind,” Marshall told Variety’s Jon Burlingame last March. Legrand, who won three Oscars and five Grammys and scored over two hundred films and television shows, passed away on Saturday at the age of eighty-six. Composing to the rhythm of the editing is, of course, part and parcel of the job, but on occasion, the process is reversed. Last fall, Legrand told Richard Williams in the Guardian that, when editing a seven-and-a-half-minute scene in The Thomas Crown Affair (1968), a flirtatious chess game between Steve McQueen and Faye Dunaway, director Norman Jewison cut it to fit the music, which, as William notes, “begins with a solo harp and ends with a big band playing a jazz waltz.” The opening credits of the film introduced to the world “The Windmills of Your Mind,” a song Legrand wrote with lyricists and frequent collaborators, Alan and Marilyn Bergman. The song, covered by Sting for the 1999 remake, also won Legrand his first Oscar. He just about did. His first big break came in the form of an offer from Columbia Records to record an album of orchestral arrangements of Parisian tunes. The pay would be 200 dollars, no royalties. But Legrand was only twenty-two, so he leapt at the offer, and I Love Paris sold millions of copies. By this point, he’d become Maurice Chevalier’s musical director, and while on tour in the States, Columbia made another offer. He’d have a free rein over an album of new arrangements of jazz standards. As Scott Yanow notes, the “most famous session” recorded for Legrand Jazz “has Miles Davis, John Coltrane, Phil Woods, Herbie Mann, pianist Bill Evans, harp, vibes, baritone, and a rhythm section performing music by Thelonious Monk, John Lewis, Jelly Roll Morton (‘Wild Man Blues’), and Fats Waller’s ‘Jitterbug Waltz.’” Legrand and Davis became fast friends, working together whenever they could right on up to Davis’s death in 1991. Their final collaboration was on the score for Rolf de Heer’s Dingo (1991), in which Davis appears in his only feature film role. With the exception of his score for Marcel Carné’s Wasteland (1960), Legrand was composing for more or less forgettable features before his first collaboration with Jacques Demy on Lola (1961). They’d work together again on Bay of Angels (1963) before they produced a groundbreaking classic. The Umbrellas of Cherbourg (1964), featuring a vividly colorful palette and a star-making turn from Catherine Deneuve, is “the most affecting of movie musicals,” writes the late Jim Ridley in an essay for our release, “and perhaps the fullest expression of [Demy’s] career-long fascination with the entwining of real life, chance, and the bewitching artifice of cinematic illusion.” Every line of dialogue is sung, and as Ridley notes, with the opening titles, “we hear the first wistful iteration of Michel Legrand’s ‘Je ne pourrai jamais vivre sans toi,’ the theme song that will follow the leads like the fading scent of prom gardenias.” The song, nominated for an Oscar, became an international sensation when it was covered in English as “I Will Wait for You” by such singers as Frank Sinatra, Tony Bennett, and Liza Minnelli. Demy and Legrand followed Umbrellas with The Young Girls of Rochefort (1967), an ode to Hollywood musicals starring Deneuve, her sister Françoise Dorléac, and Gene Kelly; and then, Donkey Skin (1970), an adaptation of a French fairy tale starring, once again, Catherine Deneuve. Between these collaborations, Legrand composed for Demy’s wife, Agnès Varda, and appeared in her breakthrough feature, Cleo from 5 to 7 (1962). For Jean-Luc Godard, he wrote the scores for A Woman Is a Woman (1961), Vivre sa vie (1962), and Band of Outsiders (1964). In a moving farewell posted to Facebook over the weekend, Anna Karina thanks Legrand for being to the first to coerce her into a recording studio to lay down her lead vocals for “La chanson d’Angela,” featured in A Woman Is a Woman.